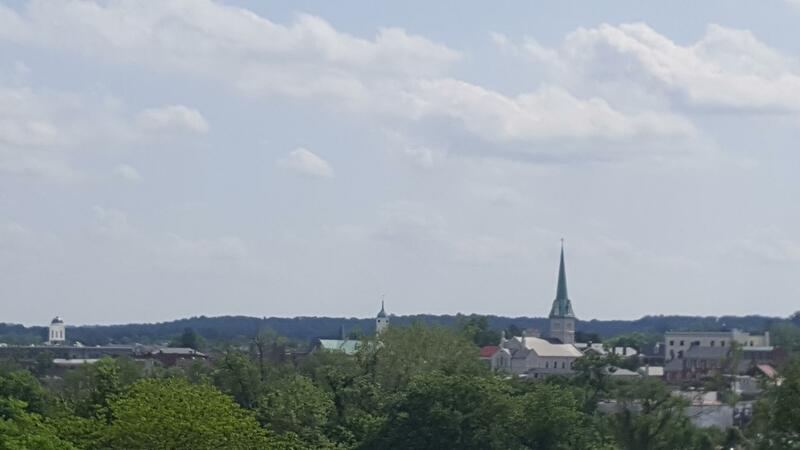 A View Of Fredericksburg, Va. From Chatham Manor!!! Great NVRHA Civil War Show!!! Beautiful Silver North Carolina Sunburst Coat Button!!! 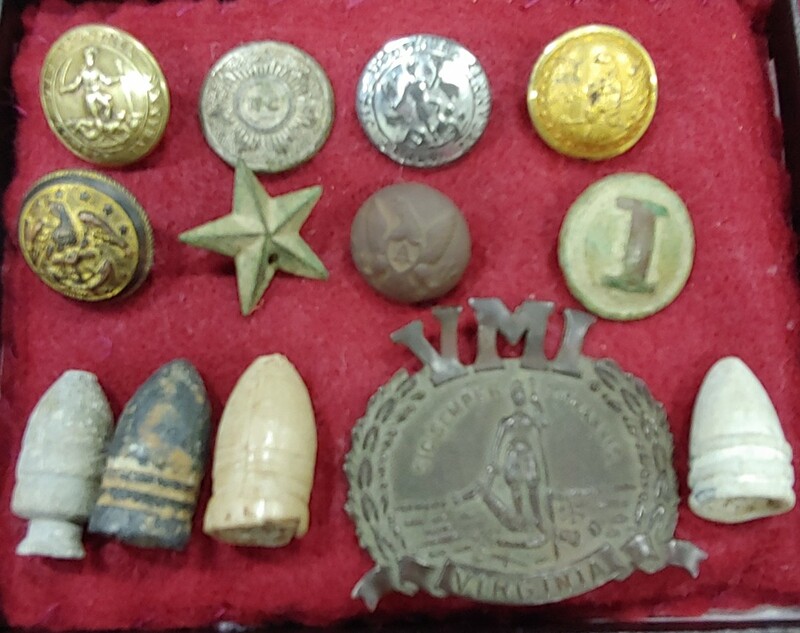 Rare & Dug Together In Stafford Co. Va. 3 Piece Shaler Bullet!!! Almost Perfect Gardiner Explosive Bullet!!!! Non Dug Va 4 With Canfield & Brother Baltimore BM!!! Extremely Rare M&M # 48 .46 Cal. Sharps Slanting Breech (Baby Sharps)!!!! Cut Piece Of Eight Dug Civil War Camp!!! Excavated Staff officer's Coat Button!! !